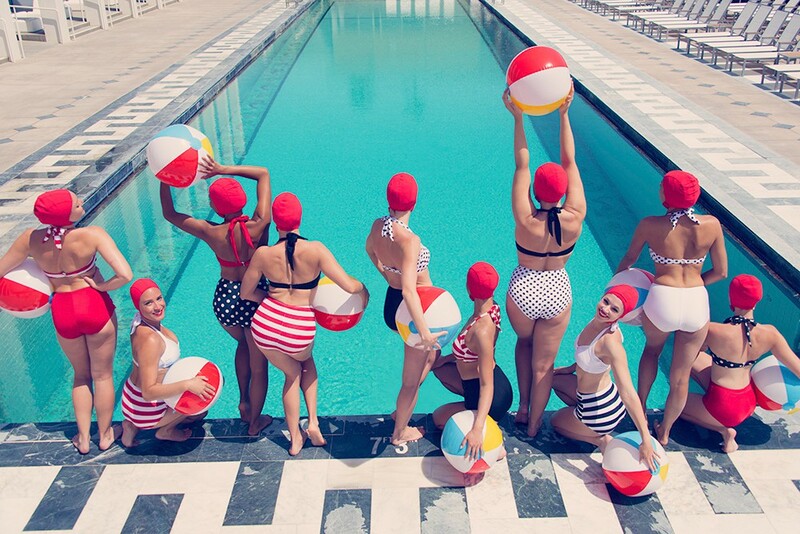 I have said before Gray Malin is one of my favorite artists. Most likely you know him for his infamous Prada Marfa prints as well as his various beach shots and other exotic locations! His photos just make you feel happy. While they definitely are perfect for modern spaces I love them even more for traditional/ transitional ones! They are the perfect punch of modern to make a traditional space more interesting. They also are timeless...while they all have been shot in more recent years..they look as though they could have been a photograph from decades ago! Which is exactly what his new collection was inspired by! 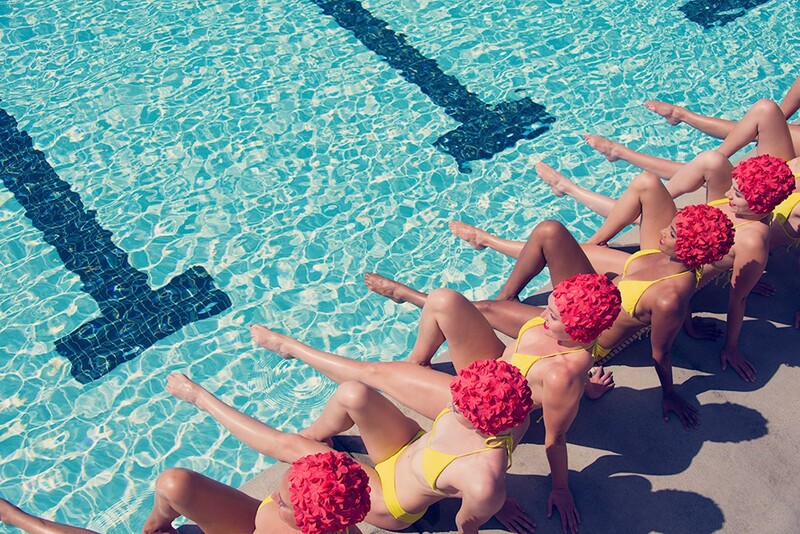 The Aqua Glam collected debuted two weeks ago and is inspired by the old Hollywood glamor and elegance of synchronized swimming in the early 20th century. Which is exactly what hooked me! Who doesn't love old Hollywood glamor?! 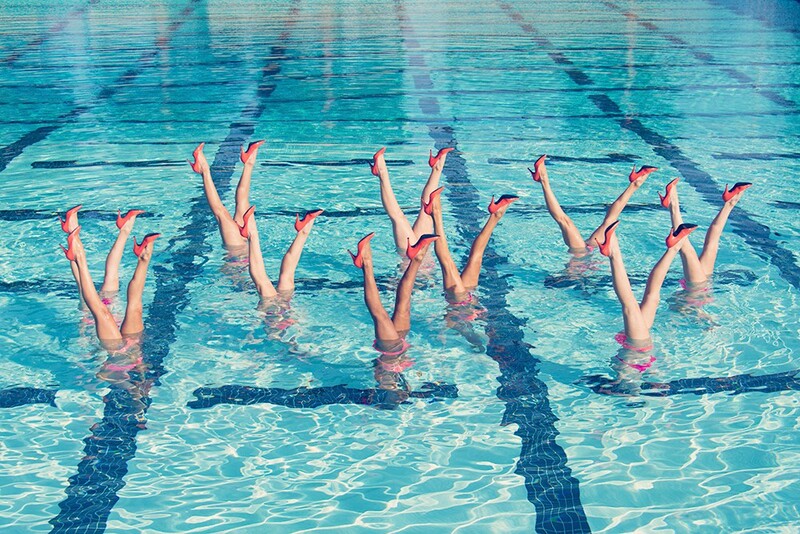 Umm....synchronized swimming?! What?! 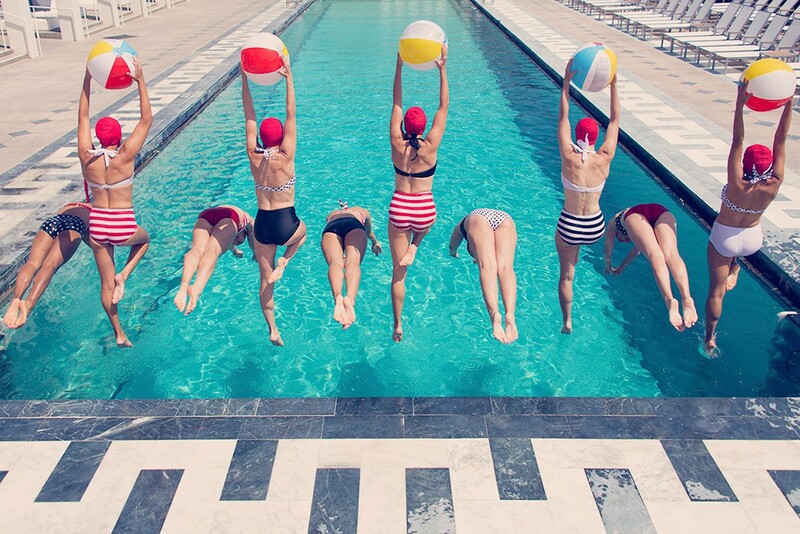 It completely takes me back to summer days at the pool as a little kid trying to perfect my "synchronized swimming" routine with friends. Plus it was the only thing that could keep my interest in the summer Olympics (plus a little high diving!). If you were the same way then you will be in awe of the Aqualillies! 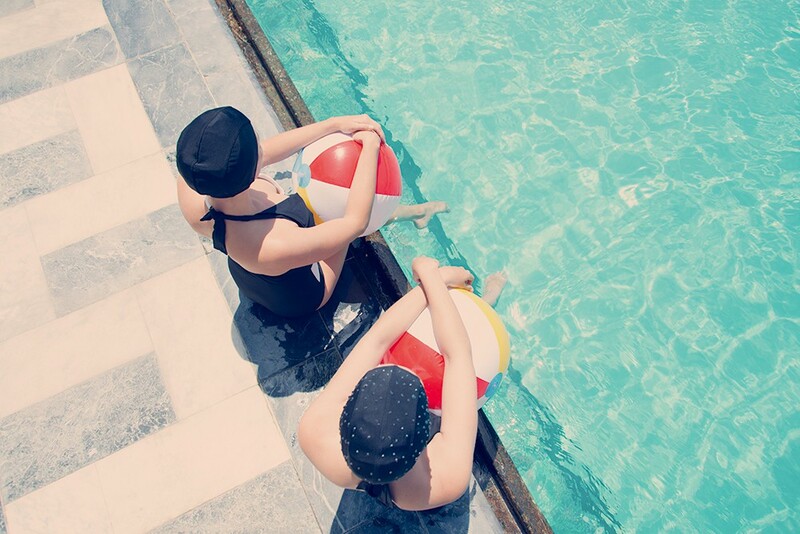 They are today's synchronized swimming entertainment group with all of the glamour and luxury that you envision from the days when synchronized swimming was at its prime! Now I'm dying to go to one of their shows! Ok so the collection is fab and you need to go check it out! It was hard to pick favorites as I just kept adding more and more...but here you go! 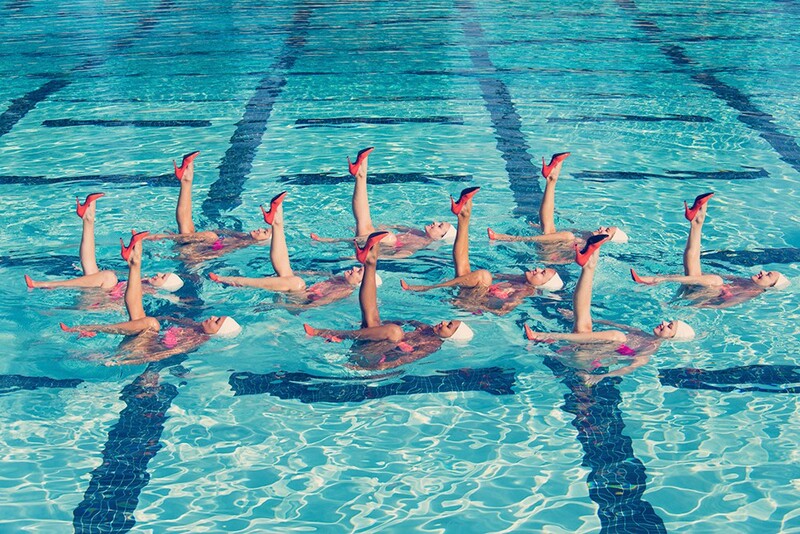 Don't you want to be a synchronized swimmer now?! Or maybe just rock some retro hair with a red lip!